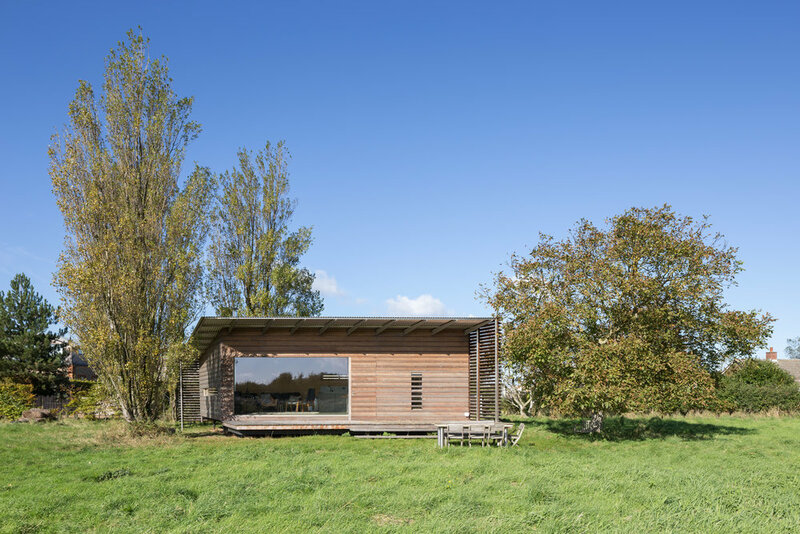 The design replaces an existing concrete ‘seasonal’ chalet with a studio, no bigger than the existing building, as the site is located on the Norfolk coast bordering an SSSI. The client required an inspirational space for music composition and contemplation. The new building removes all evidence of former domestication of the site, increasing the biodiversity and drawing on the long tradition of manmade structures within natural landscapes. 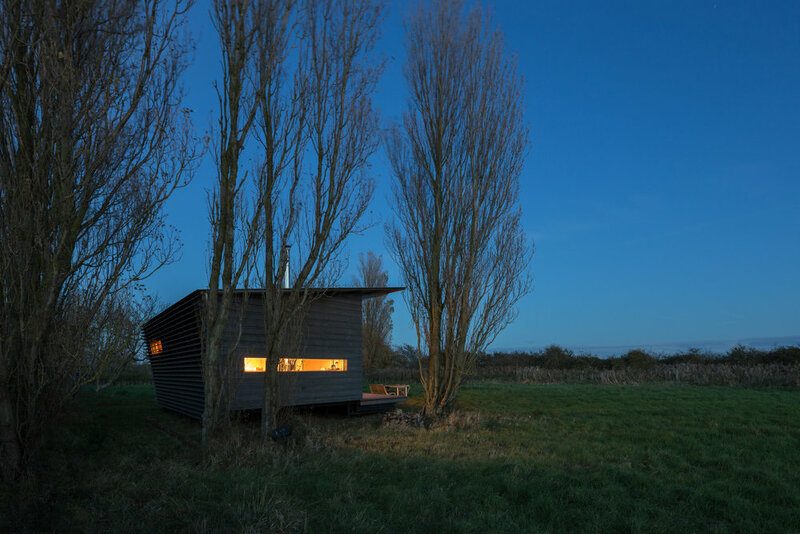 The simple form and use of materials give the appearance of an impermanent lightweight ‘cabin’. The design harmonises with the pristine character of the surrounding countryside, minimising impact on the biodiversity and tranquillity of the SSSI. The studio has a dynamic plan form generated by existing tree positions. The geometry is determined by the line of poplar trees on the south west side. A layering of the façade elements give the appearance of lightness and transparency, achieved using a rain screen louvered cladding to the façades. Materials are a limited palette of natural wood, zinc sheeting, glass and galvanised steel, assembled in a contemporary composition with tightly drawn detailing. Materials have been selected that will improve with age and weathering. Untreated Siberian fir cladding boards and louvres will eventually weather to the same silver grey of the adjacent tree barks.